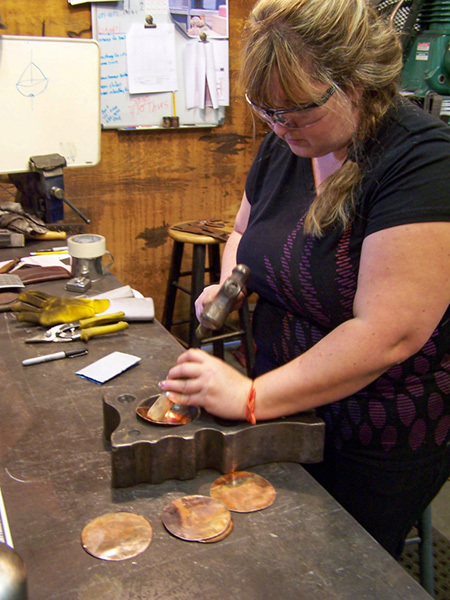 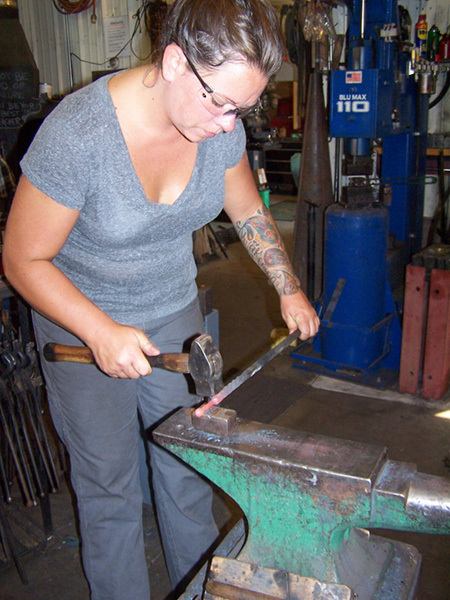 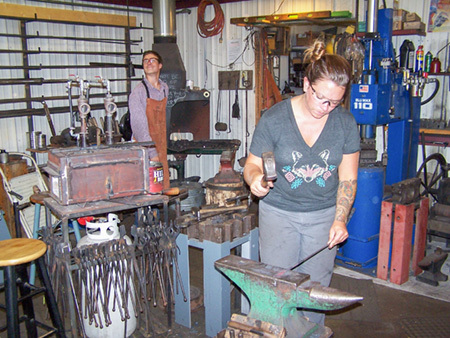 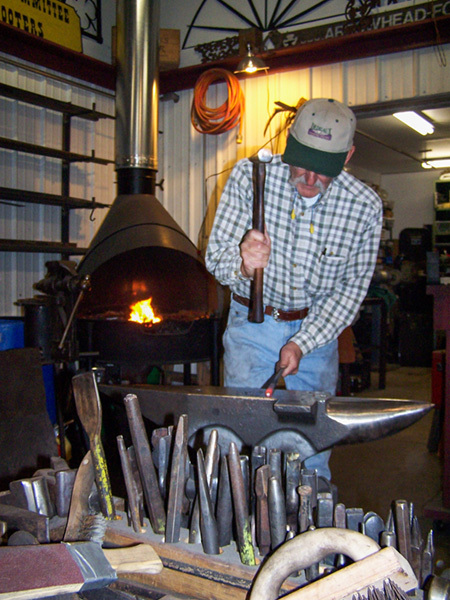 Some of the techniques taught during the 5-day beginning class are drawing out, twisting, upsetting, fullering, punching, hot cutting, riveting, bending, forge welding, and simple tool making including hardening and tempering. 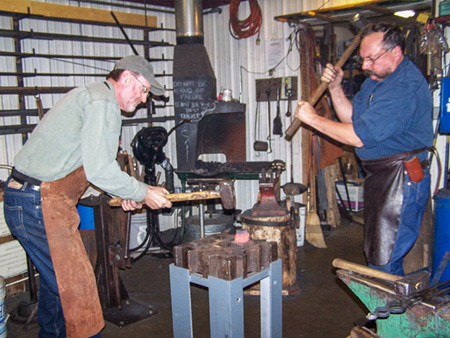 An introduction to the gas forge and power hammer will also be presented. 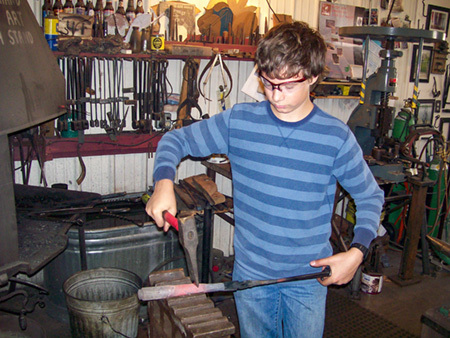 Each day students will complete one or more projects to take home and have plenty of time to design and make a personal project using the skills learned. 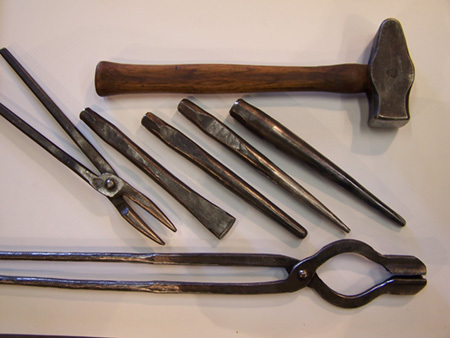 The Toolsmithing class is also five days. 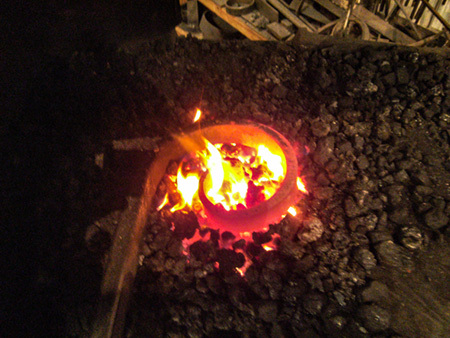 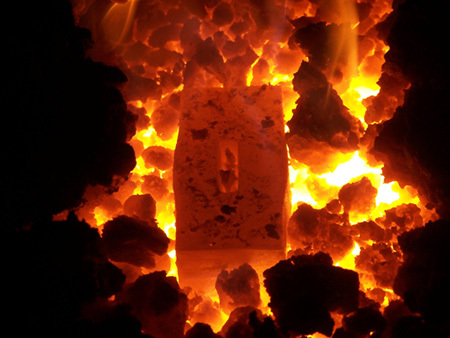 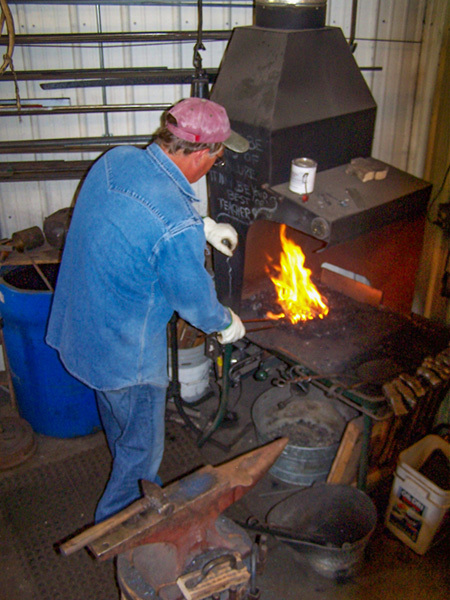 Steel selection and heat treating is an important part of the class. 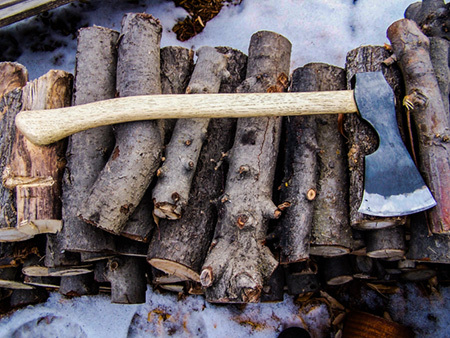 If time allows we will cover axe making. 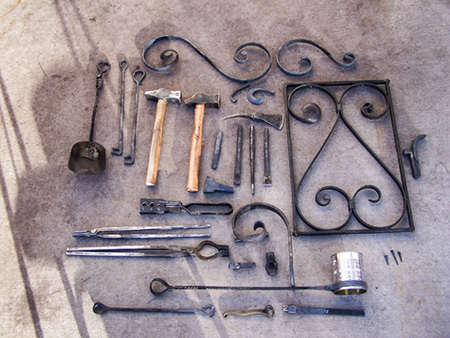 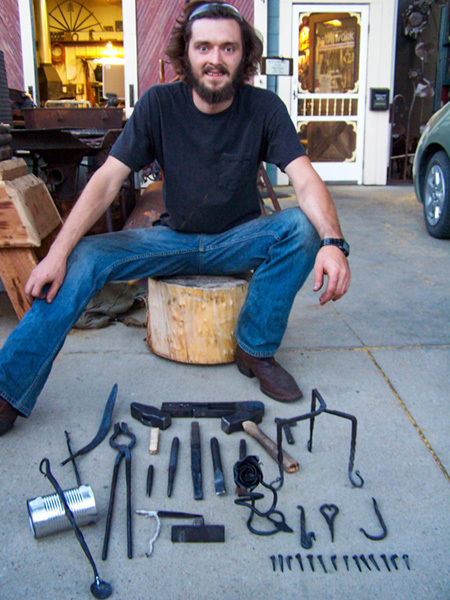 You will leave this class with a great collection of blacksmithing tools and the knowledge to make more. 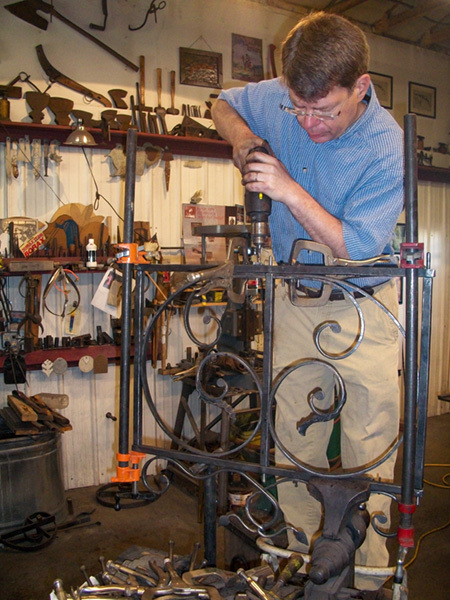 The Journeyman Class focuses on classic joinery and scroll work. 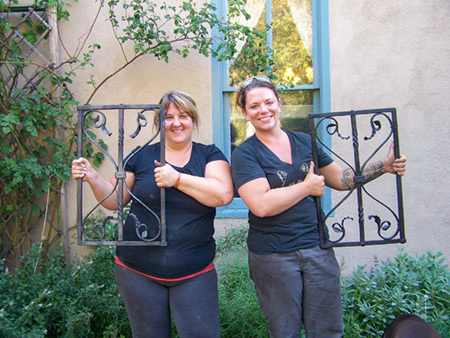 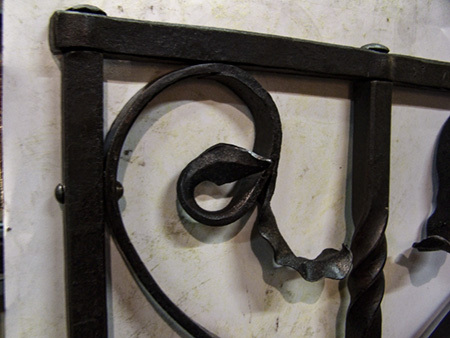 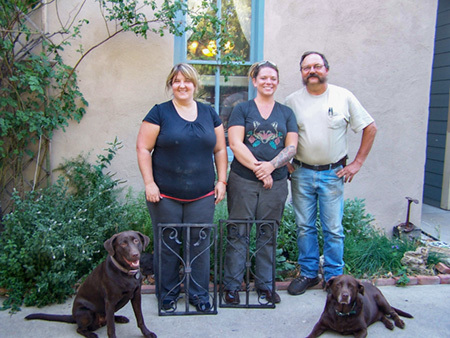 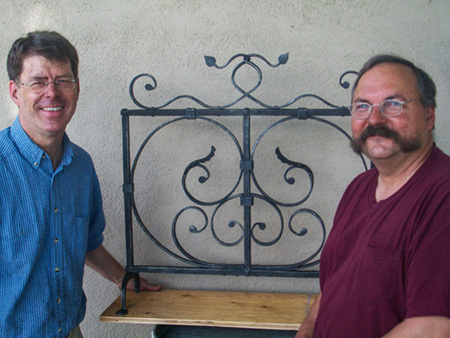 During this 10 day class you will learn how to design and build a small ornamental grille. 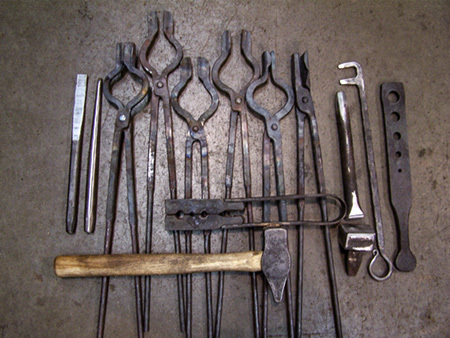 Part of the process is making the tools to complete the project. 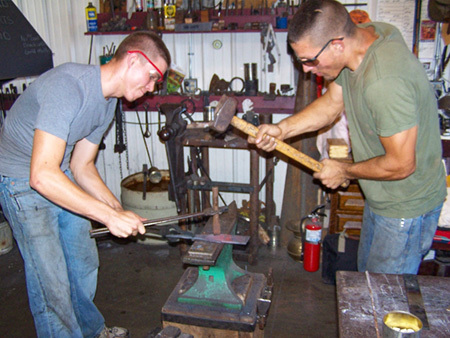 This class is limited to two students. 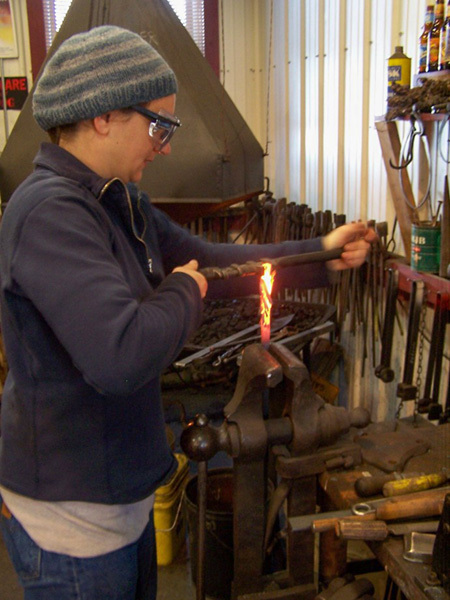 Lessons will cover shop layout and safety, tool selection, fire and hammer control, basic metallurgy and heat treating, shaping, cutting and joinery. 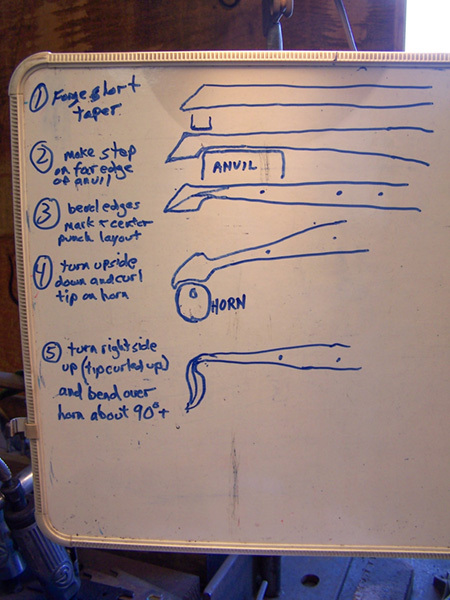 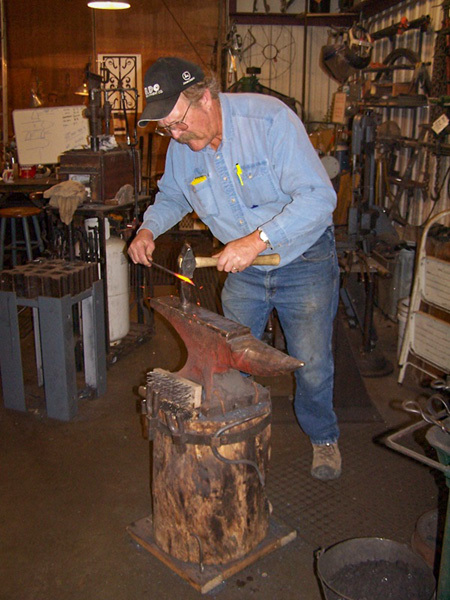 Some of the techniques you will learn are a mortise and tenon joint, a forge weld, an upset, a square and a round taper, a twist, and how to slit and drift a hole. 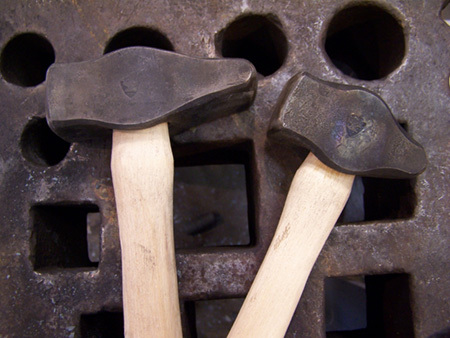 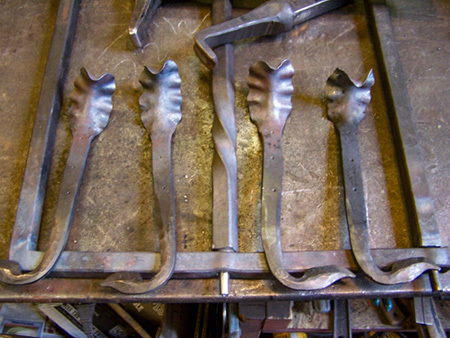 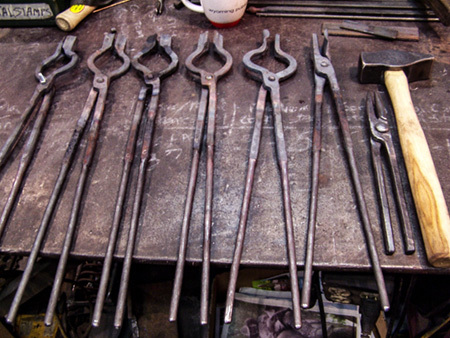 Projects throughout the week may include forged nails, hot cut chisel, decorative hook and flux spoon. 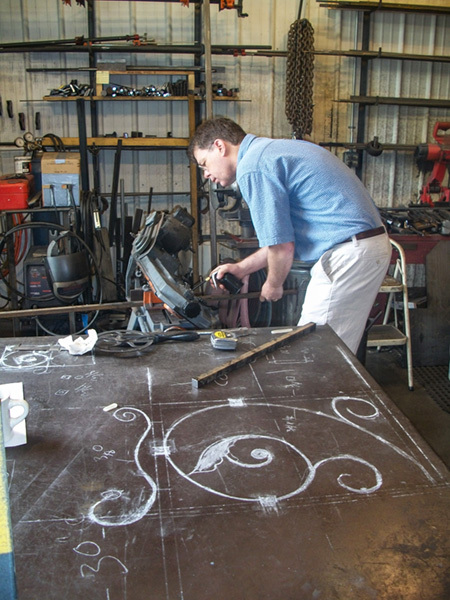 There will be ample time to design and complete a project of your choice during the last two days. 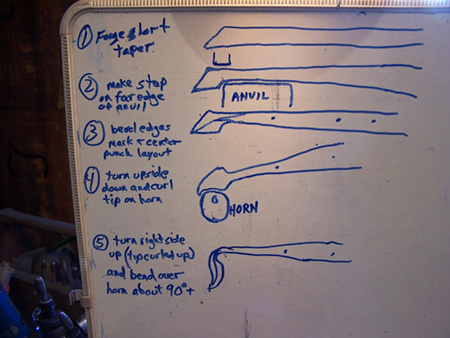 Each step of the way I will describe what will be done next, give a demonstration, then supervise as you do it yourself. 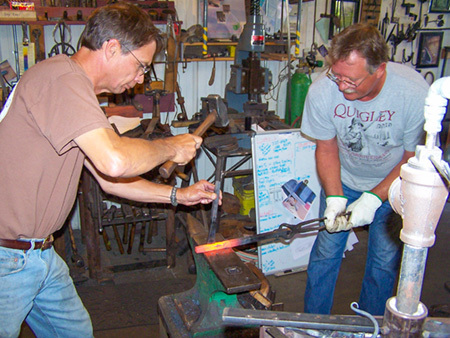 This class is designed to give you a successful start. 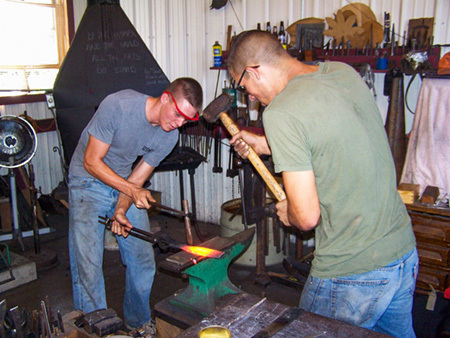 Each class is limited to two to three students, which provides a personal teaching atmosphere not found in most other schools. 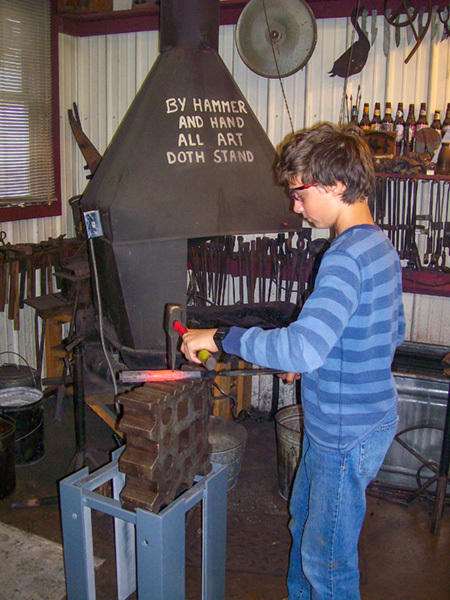 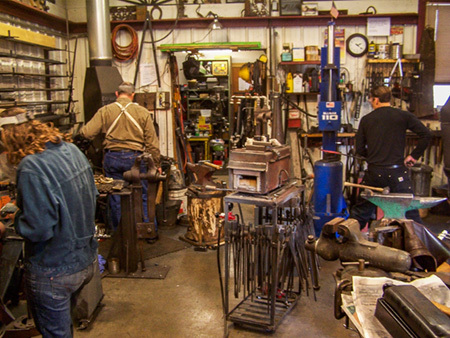 Each student will have a forge and anvil to work with, and all tools and materials are provided. 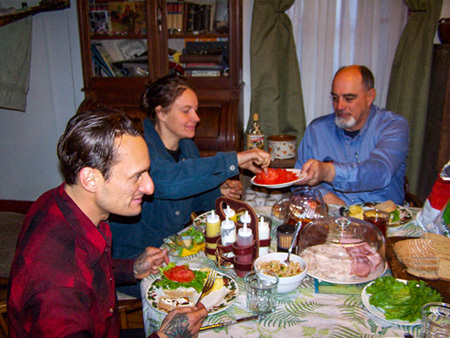 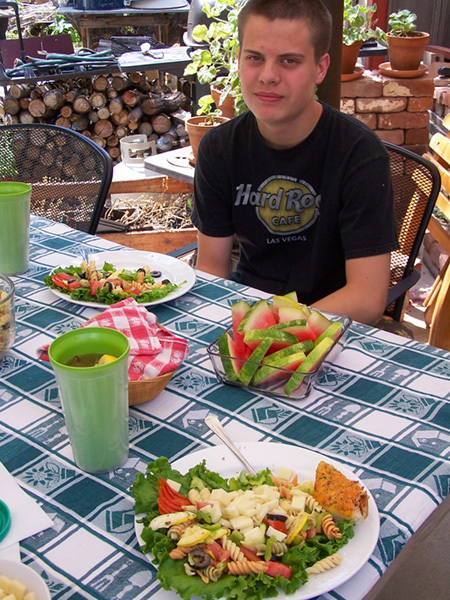 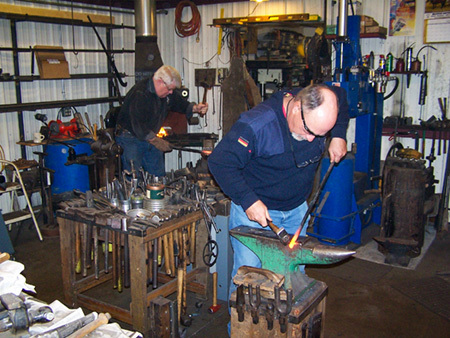 Classes are held monthly to accommodate most schedules. 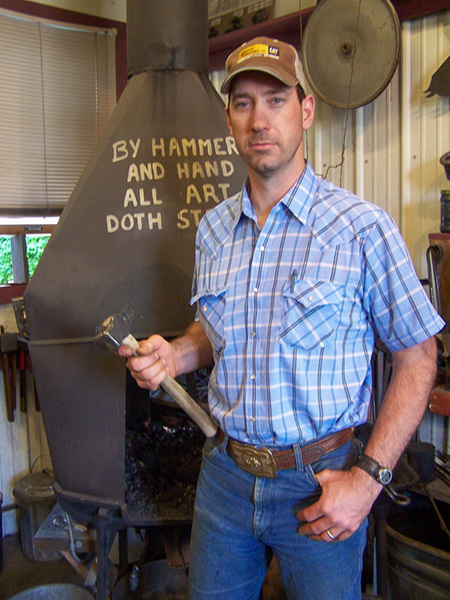 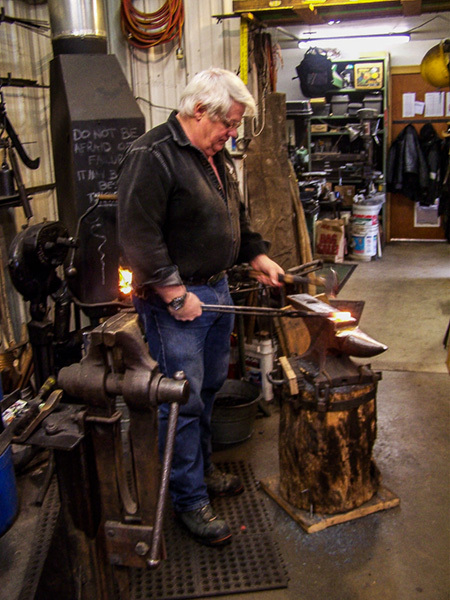 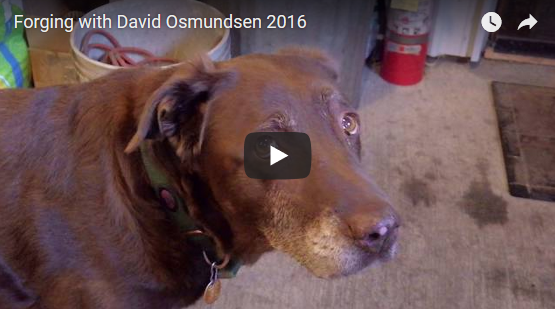 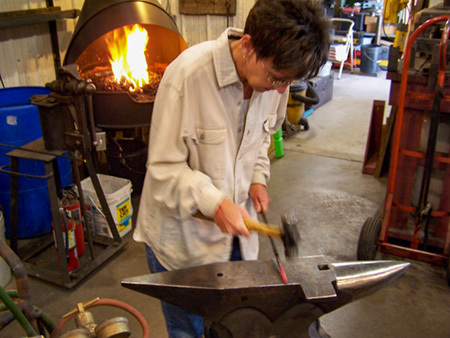 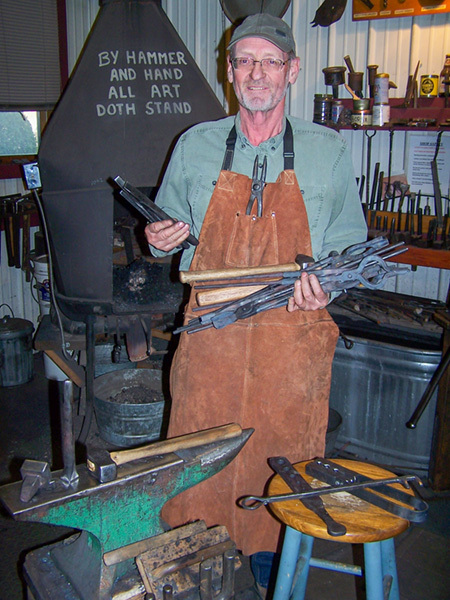 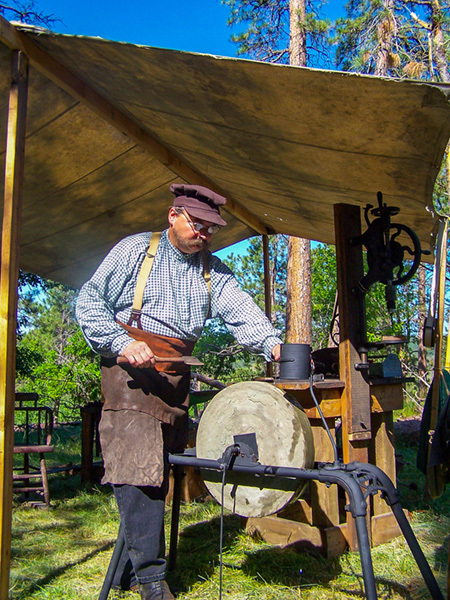 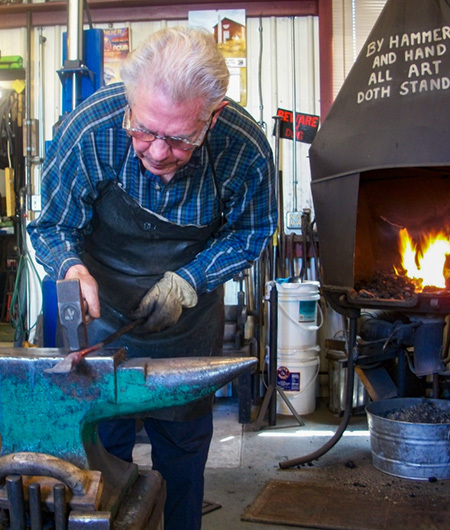 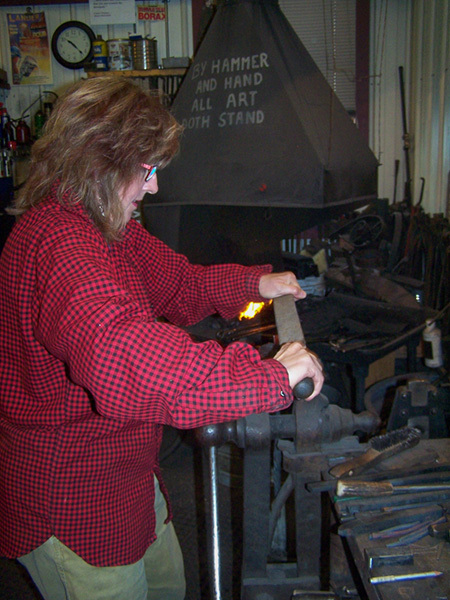 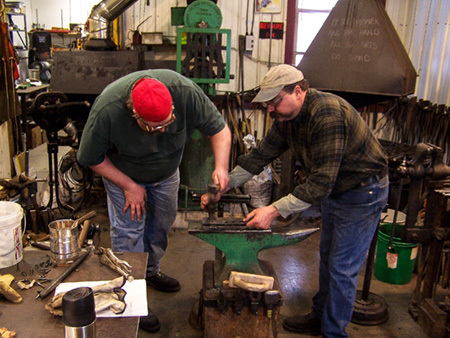 The instructor, David W. Osmundsen, started blacksmithing in 1976. 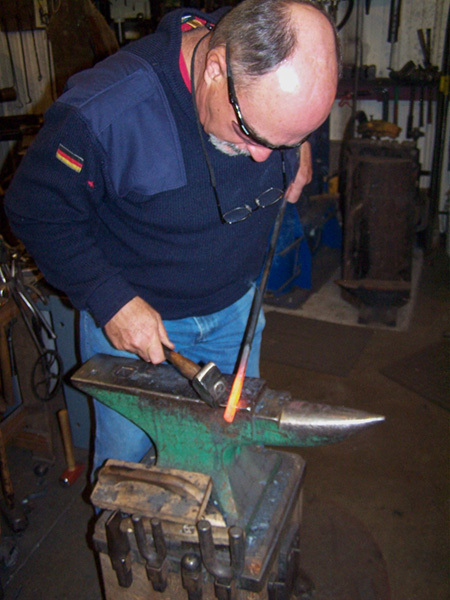  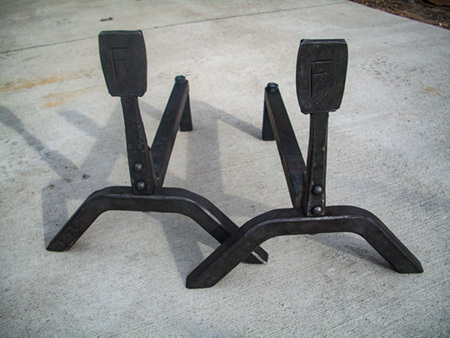  His experience since then has been as an artist blacksmith, industral tool smith, and gunsmith. 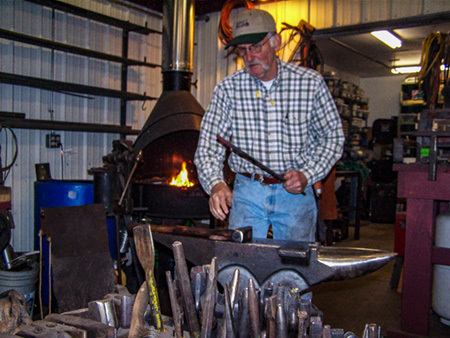 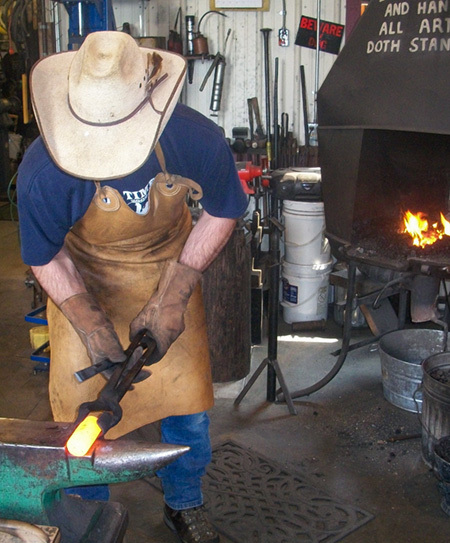 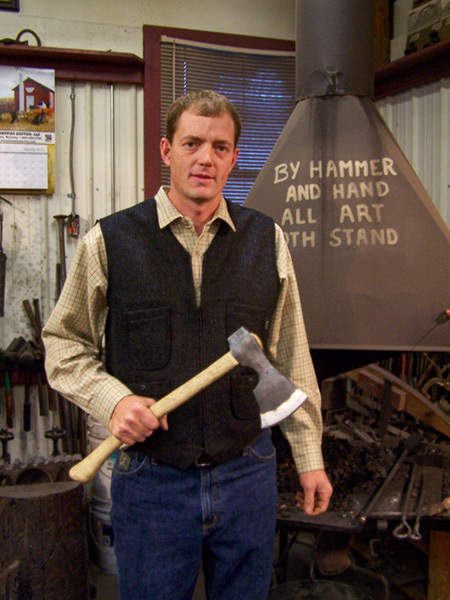 He has taught blacksmithing in Colorado, Maine, Wisconsin, and Wyoming. 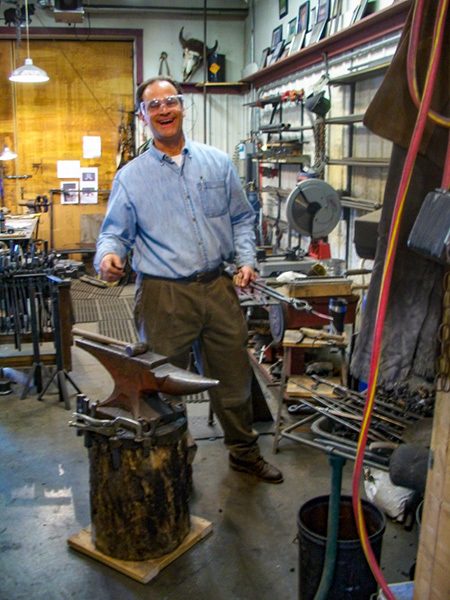 David's functional iron art and primitive recreations have been displayed in galleries across the nation, and he has completed work for the National Endowment for the Arts, the National Park Service, and the National Forest Service. 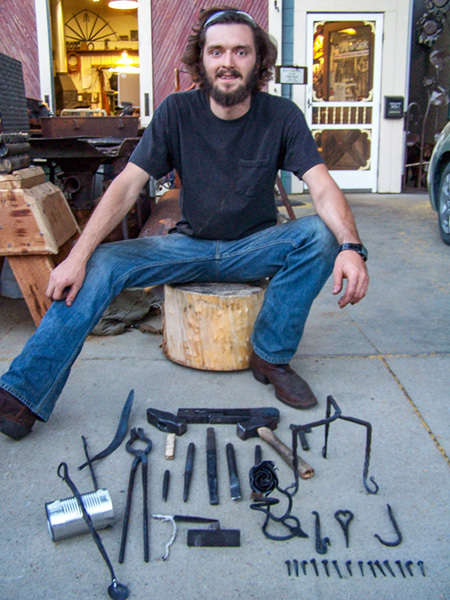 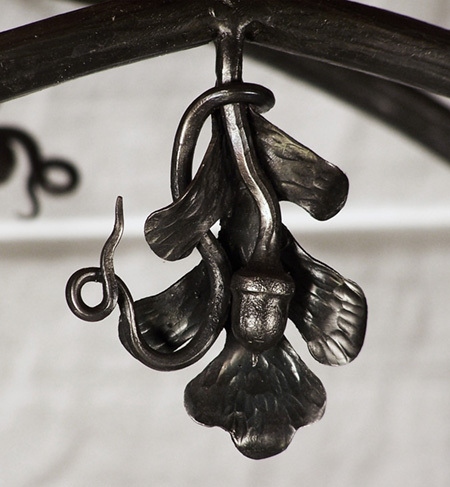 David is certified by The Northern Rockies Blacksmith Association to teach the National Curriculm of the Artist Blacksmith Association of North America. 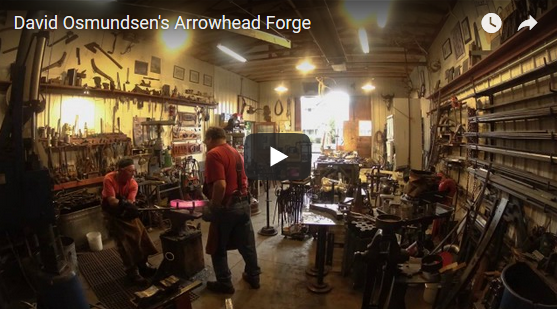 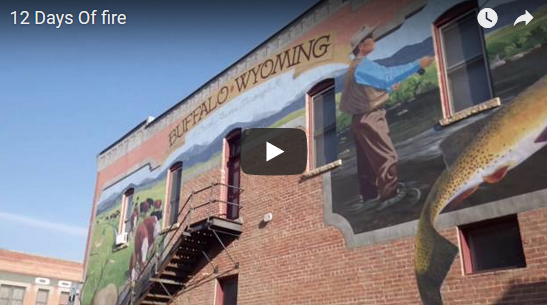 Enjoy some of the photos & videos made from both our students and ourselves!